How a pizza chain inspired a marque restaurant at Little Caesars Arena in Detroit. 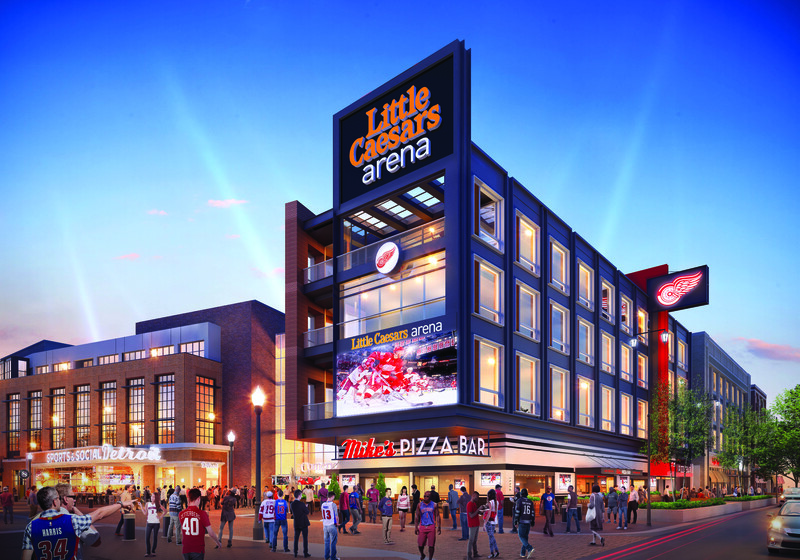 Chris Ilitch, president and CEO of Ilitch Holdings Inc., which owns the Detroit Red Wings, Detroit Tigers, Fox Theatre, and other operations, could have easily signed a lease with a name brand restaurant for the marque space at the main entrance to Little Caesars Arena. But honoring his parents came first. In August, Ilitch announced that the restaurant space at the southeast corner of the arena, at Woodward Avenue and Henry Street and next to the entrance to the Via, a covered street plaza inside the venue, would be home to Mike’s Pizza Bar, in honor of Mike and Marian Ilitch (Mike Ilitch passed away in February). “My father started in the pizza business when he was home from playing minor league baseball in Florida. He would hook up with his buddies, and in 1952 one of his buddies was working in a pizza restaurant,” Ilitch says. cute guy” and she wanted to give him a shot. From there, Mike and Marian launched Little Caesars Pizza in 1959 in Garden City (the store is still in operation). Today, the company operates more than 4,200 locations in the United States and some 20 different countries. Mike’s Pizza Bar will feature artisanal-style pizza and other menu offerings in an open kitchen setting. The contemporary restaurant is scheduled to open on Sept. 12 when entertainer Kid Rock begins the first of six concerts at the arena. Previous articleThomas W. Litzler Named Executive Vice President and COO of Schostak Brothers and Co.